Halloween 4 (1988). . Wallpaper and background images in the Michael Myers club tagged: michael myers myers halloween rocks horror movies michael freddy vs jason vs micheal. 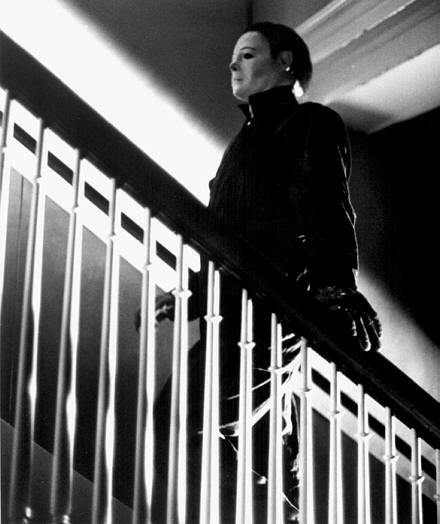 This Michael Myers photo might contain bannister, banister, barandilya, balusters, gabay, and stairwell.